When you hire roofers to build a new roof for your home, you may want to ask for an ice and water shield installation. This video from Ask the Builder will provide you with an up-close look at ice and water shields. An ice and water shield serves as a durable membrane that prevents ice and water from penetrating through the shafts of the roofing nail. A team of roofing contractors near Redmond can provide you with an ice and water shield installation for your roof. If you are concerned that your existing roof will not last through the next winter season, consider setting up a roof inspection with your local roofing company. By having your roof inspected, you will get a better idea of whether you need to repair or replace your roofing shingles. 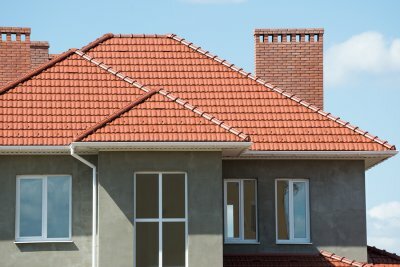 The last thing you want to deal with is a problem with your roof in Bellevue, but having a relationship with a reliable roofing company can reduce some of the stress. Broken shingles and leaky roofs can introduce a broad array of issues to your home, so rely on professionals like the team at B & J Roofing for prompt roof repair. Our roofing contractors know the ins and outs of the industry and are dedicated to keeping the roof over your head in top shape. Read ahead to find out why B & J Roofing is such a trustworthy choice. You always want to work with trusted professionals when it comes to your roof, and the team at B & J Roofing is happy to be your first choice. 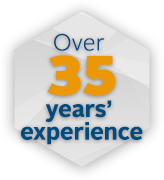 We have been taking care of the Bellevue area’s roofing needs for more than 3 and a half decades. Our team is happy to guarantee its work with a workmanship warranty that lasts for 20 years, and we have positive relationships with the industry’s material suppliers. B & J Roofing is fully licensed, insured, and bonded, so you won’t have to worry about any complications. Our expertise and commitment to customer service make us a trustworthy choice. Not all roofing contractors near Redmond are equally concerned with how a roof holds up when the job is done. At B & J Roofing , we want to make sure that you get to enjoy your roof for as long as possible; this is why we offer warranties on our work. A warranty indicates that the roofing contractors you have chosen are confident in their abilities and will stand by their work, whether it’s on a metal roof or a cedar shake roof. Feel free to take a look ahead to learn more about the 20-year workmanship warranty that we offer at B & J Roofing Inc. Spending your hard-earned money on a reroofing project only to find a year later that your shingles are in shambles can be frustrating. The team at B & J Roofing guarantees its work with a 20-year workmanship warranty. This isn’t just because of the confidence we have in our abilities and the pride we take in our work; it’s also so you can enjoy peace of mind when you work with our company. You can even transfer our workmanship warranty one time. Inquire about our material warranties to learn more about our coverage. Because it has evolved a great deal in recent years, metal roofing near Redmond has grown in popularity. You can find metal roofing in plenty of styles and colors that resemble materials like wood, clay tile, asphalt shingles, and slate. If you’re thinking about installing a metal roof , then watch this video to learn more about this material. Although it costs more than an asphalt shingle roof upfront, metal roofing can last upwards of 50 years, making it a good investment if you’re planning to stay in your home. In addition to longevity, metal roofs can also increase the value of your property and offer you energy savings by keeping your home cooler in the summer. Roofing materials can dramatically impact the look and quality of your new roof installation. While roofing shingles are among the most common types of materials that are used for new roofs, some roofing contractors are moving towards metal roofing for their installations. A contractor that offers metal roofing serving Redmond will be able to work with you to design and build the ideal roof for your property. With its extreme durability and weather resistance, metal is a fantastic material option for your new roof. One of the most important facts to know about metal roofing is that this roofing material can be a fantastic investment for your property. You can expect a metal roof to last for 50 years or longer before it needs to be replaced. Traditional asphalt shingle roofs, by contrast, can wear out in as few as 10 years. The initial installation cost towards a metal roof is a terrific investment in the future value of your home. Energy efficiency is an important concern for today’s homeowners. If you are shopping for an energy efficient roof for your home, you may want to take a look at your metal roofing options. Since metal reflect sunlight, a metal roof will naturally keep your home cooler on a hot summer’s day. During the coldest months of winter, a metal roof will also provide your home with natural insulation. 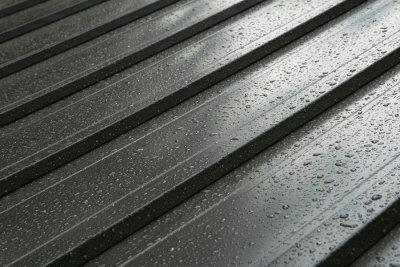 A windstorm or severe rainstorm can take a tool on the quality and safety of a conventional asphalt roof. Metal roofs are designed to withstand the harshest conditions that are created by environmental factors. When you are weathering a storm, you will have total confidence that your metal roof has been constructed to remain in great condition. With these fantastic benefits, you should be sure to contact a roofing contractor to learn more about how you can install a metal roof on your property. No roof will last forever. 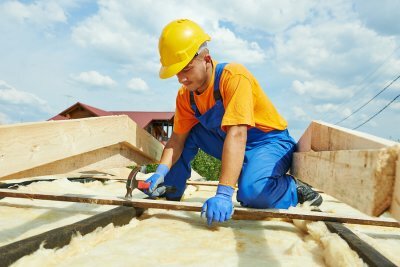 It’s only a matter of time before you’ll need to replace the roof over your head, and considering the size of the job it’s normal to have lots of questions about the process. Whether you’re researching your very first roof replacement or you’ve already gone through the experience before, the answers to these frequently asked questions might address some of the issues or concerns you’re having yourself. For more in-depth answers, or if you don’t see your specific question here, get in touch with a roof replacement contractor near Bellevue and Redmond. Q: How much does roof replacement cost? A: This is probably the most frequently asked question, but also the most difficult to answer without knowing the specifics of your roof. The cost depends on a number of different factors, including the size of your roof, the type of roof being installed, and additional structural repairs needed to complete the replacement. A roofing company will be able to give you an accurate quote after inspecting your roof. Q: Can I get a different type of roof? A: Just because you have a slate or wood shingled roof doesn’t mean you need to replace it with the same type of roof at the time of replacement. In fact, this is a good time to research your options and choose the best type of roof for your needs. 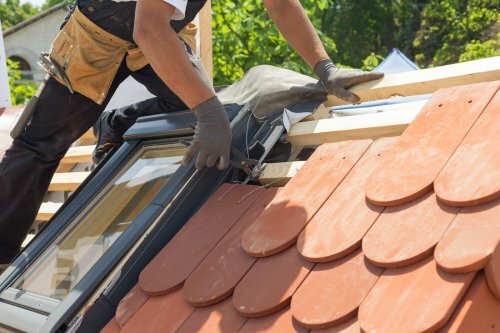 You might also consider upgrading to a more energy-efficient and better performing roof than the one you currently have. Q: Does homeowner’s insurance pay for my new roof? A: Most homeowner’s insurance policies cover roof replacement only as the result of an act of nature. 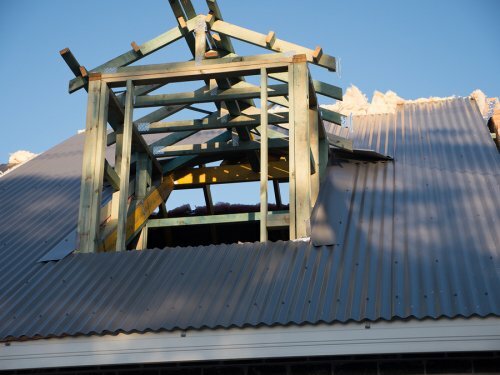 Damage resulting from acts of nature will typically qualify for total or partial replacement of the roof, although policy specifics can vary from one insurance company to the next. Check your policy or contact your insurance provider to find out for sure. 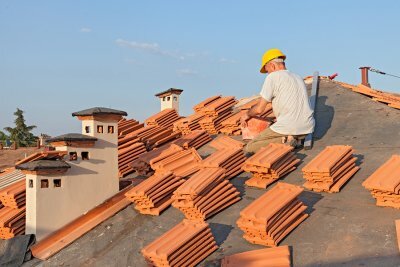 If you need help fling a roof replacement claim, your roofing contractor will be able to assist you. If you’re a homeowner, you know that at some point you’re going to need to replace your roof when it’s time to do so. Since roof replacements aren’t cheap, you want to be sure that your new roof in Bellevue is going to last for decades to come. There are many types of roofs to choose from, as well as many different kinds of roofing materials. Here are a few of the most common roofing shingles on the market today. Wood shingles used to be the most popular roofing material until composition shingles came along. These shingles are classic, elegant, and bring warmth to any home’s exterior. In areas where moisture levels are low, these shingles can last for 50 years or more. Conversely, wood shingles won’t last as long in areas that are consistently wet. To keep them in tiptop shape, wood shingles need to be maintained and guarded against rot, mold, and insect damage. Since wood is not naturally fire resistant, these shingles need to be fire treated. Versatile and affordable, composition shingles, also known as asphalt shingles, are the most popular roofing material used today. 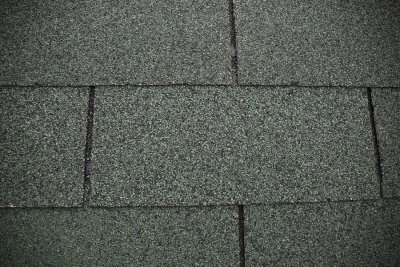 Composition shingles are usually composed of these core ingredients: asphalt, fiberglass, and stone aggregate. These shingles are available in a range of grades from basic to high end—the pricier options offer features such as embedded metals that prevent moss growth. In general, composition shingles tend to be cost effective, extremely durable, and fire resistant. Unfortunately, composition roofs have relatively short lifespans: about 20 years, give or take. A distinguishable feature of Italian, Spanish, and Southwestern homes, clay is ideal in arid regions, or in places that have more warm days than cold. These tiles can be quite durable and last a long time, and they’re naturally fire resistant. If you live in an area where storms and hail are common, clay is not the roofing material for you. Popular on commercial buildings, metal is a great choice for your home. This roofing material has a long lifespan, as well as being low maintenance, extremely durable, and fire resistant. Synthetic shingles can either be made of plastic, rubber, or recycled materials, and are made to look like wood shake or stone tiles. They’re durable and are a cost-effective alternative to natural roofing materials. Roofs are the most important structural components of every home. Without the right type of roofing, your home’s essential systems would be exposed to the elements. When you are building a new home, or are planning some essential home improvement projects, it is important to work with certified roofing contractors to create top quality roofing near Redmond. By taking the time to ensure that your roof is properly designed and installed, you can rest assured that your roof will provide your home with protection for decades. Let’s take a closer look at why proper roof installation is so important. During a roof installation , your contractor will start by designing the overall structure of your roof. A roof’s structure is composed of several different elements, including rafters and trusses. The rafters and trusses must be carefully placed so that the weight of the roof is distributed evenly across the exterior walls of the home. If the roof’s load is not properly distributed, you could experience roofing problems in the future. Along with designing and installing the roof structure, your roofing contractor will also place sheathing and flashing across the surface of the roof. Sheathing, which is also called the roof deck, composes the first protective layer on the exterior of the roof. Flashing is designed to prevent leaking in critical areas of your roof, such as the joints and chimney. These elements must be carefully installed to prevent leaking, insulation issues, and other roofing problems. The final step of a roof installation is to put the roof coverings in place. Your roof coverings will create the external layer of your roof, and will have a dramatic impact on the quality and appearance of your final roofing design. Some of the most popular types of roof coverings include asphalt shingles, wooden shingles, and tile. Your roofing contractor can help you choose the best covering for the overall style of your home.